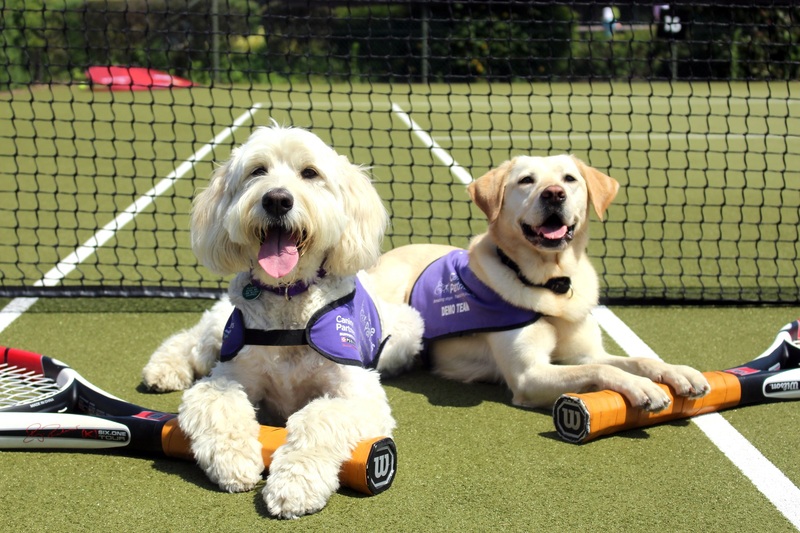 DOGS TRAINED by charity Canine Partners will be in the spotlight at the Champions Tennis event held at The Royal Albert Hall which started yesterday (Thursday). The ball-dogs will be playing a key role of retrieving tennis balls for some of the biggest names in tennis, including former world number one John McEnroe and former British number one Tim Henman. Canine Partners is a national charity training assistance dogs to transform the lives of people with disabilities, boosting confidence and independence. The demonstration dog team have been practicing ball-dog skills ready for the big event. “Warwick and I have been practising ball retrieval in the house and garden as he loves bringing things back to me and he is very enthusiastic,” says demonstration dog handler Ruth Comber, from Horsham. The demonstration team will also be meeting and greeting with some of the audience. And showcasing some of the tasks the amazing dogs can do. The Champions Tennis event, which started yesterday and runs until Sunday, December 9, includes Grand Slam Champions, former world number ones and national icons.